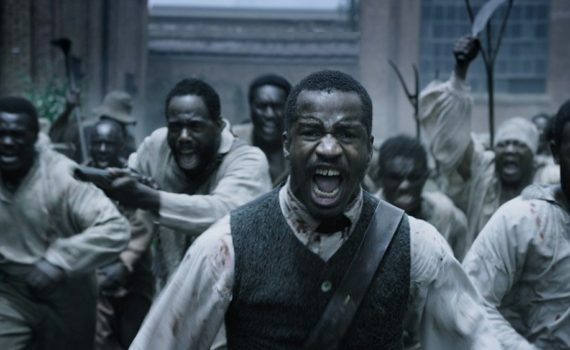 When Fox bought the rights to film festival darling The Birth of a Nation for a record price, Nate Parker knew he had something special on his hands, and audiences knew that an indie Oscar contender was coming their way, right in time for the beginning of the fall Oscar season. Parker wrote, directed, and stars in this controversial drama, a film destined to be one of the most talked about releases of the year, whether it lives up to its award aspirations or not. Parker put himself on the line with this film, especially due to its uncomfortable nature, and then doubly so due to the resurfacing of his own criminal allegations. The Birth of a Nation is a project which, on the whole, produces both conversation and consternation, but then, it was never meant to smooth feathers, it was meant to ruffle them. That might be putting it lightly, actually, as this film does more than ruffle, it incites, something that may not sit well with many a movie-goer. Set in the pre-war South and based on a true story, this is the tale of Nat Turner and the Slave Rebellion of 1831. Nat is a boy born into slavery, his grandmother brought from Africa many years before, his family raised on a plantation and branded with the name Turner, the crest of their owners. Samuel Turner, the lord of the estate, isn’t a particularly harsh master, and Nat grows up literate, religious, and with a talent for preaching the gospel to his fellow slaves. Samuel uses this to his pocket’s advantage when other plantations come in need of a calm slave who can placate their own restless ones. Hard times in the area have made the lives of most slaves unbearable, leading to discontent and the threat of uprising. So Nat travels to nearby plantations in order to speak soothing Biblical words, to remind his brethren to heed to their masters. But as his eyes are opened to the evil around him, Nat will no longer be able to hold himself back from joining the oncoming tide of anger that will soon rush against the dictators of the South. Looking at early returns, audiences have strongly disliked this film, while critics have found much to appreciate and applaud. That makes total sense given the inherent uncomfortable nature of this movie and how that might feel to your average American audience member. In many ways, The Birth of a Nation is a film version of the Black Lives Matter movement, an unapologetic reminder of brutality and what can happen when any group is held down or mistreated for too long. Again, not a pleasant subject, especially when Parker makes a hero out of a rebel and asks those who have been mistreated to rise up against their oppressors. There’s isn’t much of a vague message or moral here, this isn’t 12 Years a Slave which just tells a sad story. No, there’s more political & social overtones here than many people will want to experience, hence the weird way you might feel walking out of the theatre. This is a film with much to say, much that we won’t want to hear, which is why controversy will follow it wherever it goes. It is a film filled with gruesome content and gruesome context, a story that will make you sick no matter who you are. It’s the ‘why’ that’s important though, the questions of why was this film made and why was it titled after a white supremacist propaganda movie? Well, Parker isn’t being subtle with his violent message or his ironic title, letting audiences hear very quickly what he intends to say. As far as the quality of the movie itself, I thought that Parker borrowed far too much from other, earlier productions, like Braveheart, oddly enough, which he takes from in scene after scene, from wedding nights to battle grounds, using the same tricks and emotional tugs. His acting was quite good, I think Hammer gets far too little credit for his talent, but the side characters were all either forgettable or weak. This is a difficult entity to critique, as there’s so much more here than just Hollywood success or awards goals. This film is a shout, which is easily heard but not meant to be enjoyed.